You play with your mouse, just click on the action's Icon to select them, and click again on the fish bowl to act. Keep your fish alive by feeding him, add water, cleaning, and play him some music. 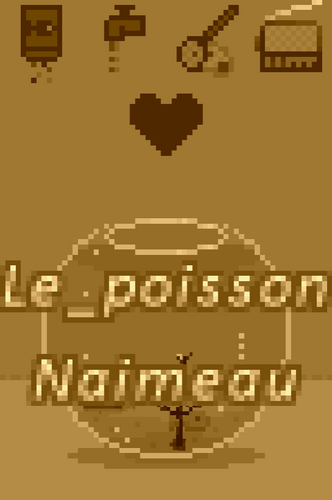 There's no really end here, just a game over page if you let the fish die. I like seeing the evolution of your games. This one isn't especially unique, but the restricted color palette and user interface elegance (no tutorial needed :) make it really memorable. Keep making games, I love how different they all are. Hey, thank you for the very nice reply (again ^^) ! I will try to continue to make some small games for fun, I hope you will continue to give me your opinion on them.